If you find yourself facing divorce, taxes may be the furthest thing from your mind, but there are a few noteworthy provisions in the Dec. 22, 2017, Tax Cuts and Jobs Act that could significantly impact your divorce. Informing yourself about your rights and options, especially in consideration of these changes, is the best way to protect yourself as you navigate the divorce process. For the better part of a century, spousal support (aka “spousal maintenance” or “alimony”) has been tax deductible to the person paying support (the “payor”) and taxable to the person receiving support (the “payee”). Typically, the payor spouse is in a higher income bracket than the payee, so this will often result in a discrepancy between the actual income and the taxes paid. Under the 2017 Tax Cuts and Jobs Act, any alimony payments in a divorce or separation agreement entered after Dec. 31, 2018, will now be taxable to the payor spouse rather than the payee spouse. While this change will resolve the aforementioned tax discrepancy, it will also reduce the funds available to divorcing couples for purposes of negotiation. The existing tax code’s alimony deduction has long provided an incentive for the payor spouse to pay support, which has served as a useful tool in settlement discussions. After Jan. 1, 2019, the accompanying benefit will no longer apply and there will be less money to go around. This may prompt parties who would otherwise be facing an award of spousal support to offer a disproportionate award of property as an alternative or it may simply require an adjustment to what is typically awarded in terms of support in order to account for the change in available funds. The change could also disrupt the adoption of alimony awards in prenuptial agreements that were drafted under the assumption of the tax deduction. While the repercussions have yet to be seen, the consensus among professionals is that this change will leave divorcing couples with one less tool to reach resolution outside of court. In order to keep the cost of the bill within Senate budget rules, all of the changes affecting individuals expire after 2025 unless Congress extends them in the future. There are still seven tax brackets based on income but the rates for some of these brackets have been lowered. In the course of divorce, the parties must address the issue of whether to file taxes separately or jointly for the most recent tax year in their Final Divorce Order. In order to make an informed decision, parties should review the new rates and take note of the resulting financial implications. Filing a joint return could amount to a lower tax bracket for both parties; however, it also makes each party responsible for any taxes or penalties that come due on behalf of either person. Filing separately allows for each party to assume his/her own responsibilities in this regard. The home mortgage interest deduction was modified to reduce the interest you could deduct on a mortgage to $750,000 (previously $1,000,000). The home equity loan interest deduction is repealed through 2025. Homeowners who sell their house at a gain will still be able to exclude up to $500,000 (or $250,000 for single filers) from capital gains, so long as they’re selling their primary home and have lived there for two of the last five years. $24,000 for joint filers (previously $12,700). $18,000 for heads of household (previously $9,350). $12,000 for all other individuals (previously $6,350). This may prompt some taxpayers to claim the increased standard deduction in lieu of itemizing. These individuals will no longer have to file Schedule A to Form 1040, which will reduce the need for record keeping that would be necessary for such itemizations and simplify matters for parties who may have lost track of such records in the course of separation. Under the new bill, the child tax credit, which reduces your tax liability, has doubled to $2,000 for children under 17. It’s also now available, in full, to more people. The entire credit can be claimed by single parents who make up to $200,000 and married couples who make up to $400,000. The act simultaneously repeals dependency exemptions. Prior to 2018, parties could exclude $4,050 of their taxable income for each dependent; that benefit has now been eliminated. Previously, 529 savings account funds could only be used for college expenses. Beginning in 2018, up to $10,000 can be distributed each year to cover the cost of sending a child to elementary or secondary schools as well, including expenses for books and other instructional materials. The adaptations of the new tax bill may vary by state and its implications may change with time. Every family is different and, if you are facing divorce, there is no substitute for consulting with a professional. Regardless, individuals facing divorce in the next few years should anticipate some difficult adjustments to the process following the implementation of these changes. 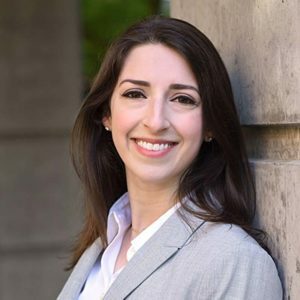 M. Erica Aquadro is an associate attorney with the Elizabeth Christy Law Firm in Vancouver. She has dedicated her practice exclusively to the area of family law, handling divorce, separation, child and spousal support, custody, and relocation matters with sincerity and confidence. Elizabeth is a compassionate and determined advocate who represents all types of individuals in divorce, separation, custody, child and spousal support, prenuptial agreements, relocation, and parentage/paternity. Elizabeth takes pride in her ability to obtain her client’s desired results using various strategies and, while she consistently explores the possibility of settlement, is not averse to litigation and relishes her time in the courtroom. In an era when many attorneys went to law school to pass the time, Elizabeth is driven and passionate about her work.